Gov. 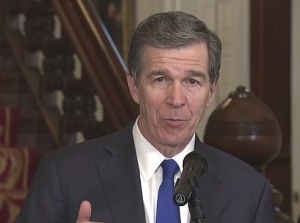 Roy Cooper will deliver his “State of the State” address to the N.C. General Assembly Monday night. This evening, Gov. Cooper will present on the state of North Carolina to the members of the N.C. General Assembly, and North Carolinians broadly via broadcast. His remarks will likely lift up top-line figures that show our national economic expansion continued in 2018 — focusing on low unemployment and job growth — and that we have the chance right now to drive opportunity to more communities across the state through key policy choices. There is tremendous potential for North Carolina in 2019 to harness the historically long economic expansion and ensure it drives better economic outcomes for more North Carolinians. Here are four trends that continue to characterize the “state of the state” and should be areas of concentrated policy work in 2019. Poverty remains elevated. Despite the economic expansion, poverty has remained persistently high, with child poverty presenting long-term blocks to economic progress for the state and concentrations of poverty in neighborhoods and regions creating a double burden for entire communities. Policies that move more people out of poverty can increase the dollars circulating locally, increase access to the building blocks that support economic mobility, and ensure a strong foundation for community development. Health care remains out of reach. For more than 1 million North Carolinians who are uninsured, the ability to see a doctor when they are sick is blocked by the lack of affordable care. This creates higher costs for families and the state, uncompensated care by health care providers remains elevated, and taxpayers are funding more costly treatment of chronic and persistent health conditions rather than prevention. Providing people with the health that they deserve will not only improve health outcomes, it will support community well-being by stabilizing hospitals in rural communities and creating healthy opportunities across the state. Barriers to building wealth persist. As today’s Prosperity Watch post details, the ability to build wealth for different North Carolinians has roots in our history that excluded North Carolinians of color from the ability to work for income, own homes, connect to higher education, and build assets, even as white North Carolinians enjoyed that access across many generations. The result is a persistently lower level of wealth for communities of color that makes economic shocks that much more damaging to a household’s economic well-being. Policies that recognize the role of wealth in economic well-being and remove barriers to opportunity for communities of color can go some way toward ensuring that wealth accumulation is possible for communities of color. Communities are being left behind. There are 47 counties that still have not reached pre-Recession levels of employment. Even in counties where the majority of job growth has occurred — Wake, Durham and Mecklenburg counties — there are neighborhoods that have double-digit unemployment and remain disconnected from the job opportunities nearby. Public policies that forge connections across communities — through public transportation networks and broadband, commitments to local hiring goals and stabilization of community anchor institutions — are needed to connect people to good jobs and ensure that every community can thrive.